An Unwelcome Reality | It's Up 2 Us! Last week a small group of concerned people in Perth peacefully occupied the Headquarters of Buru Energy who are planning to Frack for unconventional gas across the Kimberley. 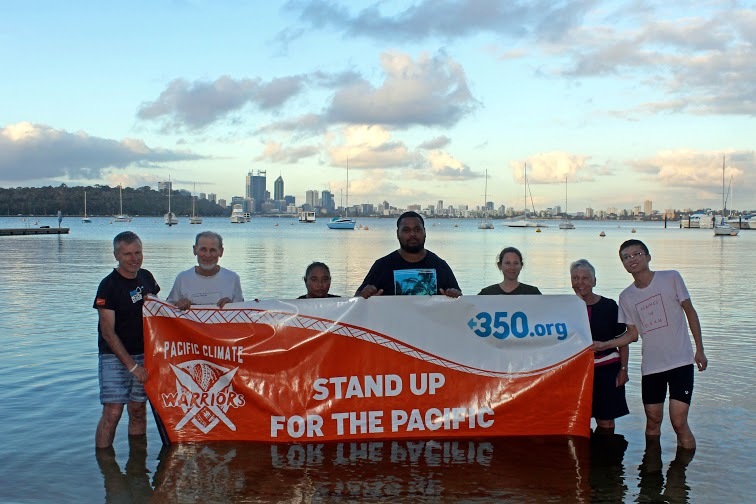 This was in partnership with the Pacific Climate Warriors, 30 Pacific Islanders who had arrived in Australia to call for the halt of new coal and gas projects. Could you imagine yourself a refugee? And not the intimacy of sand shifting in the sun? But not the one spoken in these isles for thousands of years? ← What will it take to create the change we wish to see?